Scott Ollinger, professor of natural resources, will lead a team of UNH researchers on a $1.25 million National Science Foundation grant to understand the impact of forest biodiversity on climate change. 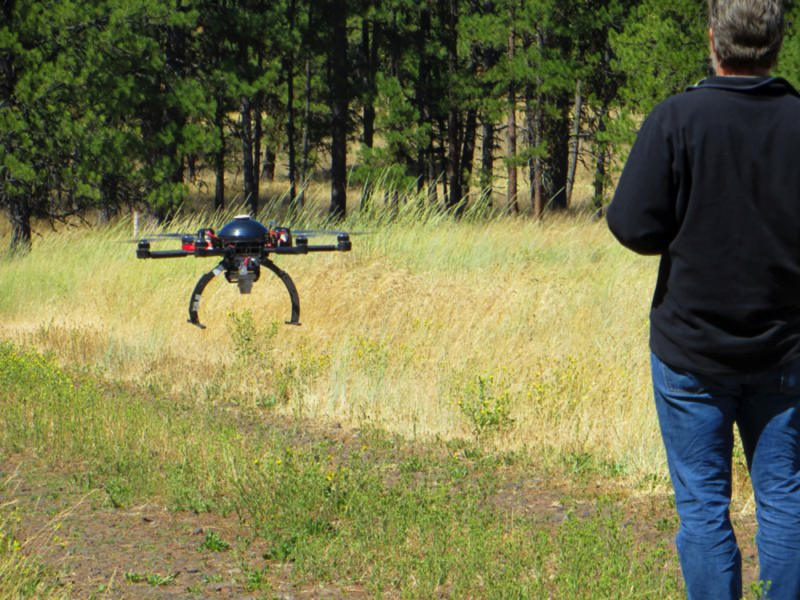 Michael Palace, associate professor of Earth and geospatial science, will use his extensive experience with drones on the project. Forests play a major role in regulating the Earth’s climate: An acre of forest can absorb twice the CO2 produced by an average car each year; they’re the largest form of carbon storage, or “sinks,” in the U.S.; and the way trees use water and reflect sunlight has a large effect on temperature. “And forests often dampen climate extremes: They can make heat waves less hot and cold spells less cold,” says UNH researcher Scott Ollinger. Now, a major grant from the National Science Foundation will help Ollinger and a team from UNH’s Institute for the Study of Earth, Oceans, and Space (EOS) understand how the biodiversity of those forests — the number of tree species represented as well as the differences in their sizes and shapes and how they absorb and reflect light — affects their ability to soak up CO2 and mitigate the impacts of climate. The five-year, $1.25 million grant will help Ollinger and researchers from UNH’s Earth Systems Research Center tackle those questions for the first time. “This kind of information has been difficult to obtain for forests,” says Ollinger, noting that most studies on the effects of plant diversity on ecosystems have been done in grasslands, where small plots can be used to manipulate biodiversity by planting and weeding. “In a forest, you’d need to plant different combinations of tree species over an enormous area then wait a hundred years for them to mature,” he says. Instead, the researchers — Ollinger and research associate professor Bobby Braswell, associate professor of Earth and geospatial science Michael Palace and research associate professor Jingfeng Xiao — will take an approach that’s more statistical than experimental, tapping data from a vast network of sensors on towers above 40 forests throughout North America. They’ll synthesize the extensive data from networks, AmeriFlux and the National Ecological Observatory Network (NEON), with measurements they collect with high-tech tools like drones, aircraft spectrometers and laser imaging systems as well as on-the-ground fieldwork. The result, they anticipate, will be a more complete picture of the role biodiversity of tree species in North America plays in regulating our environment. 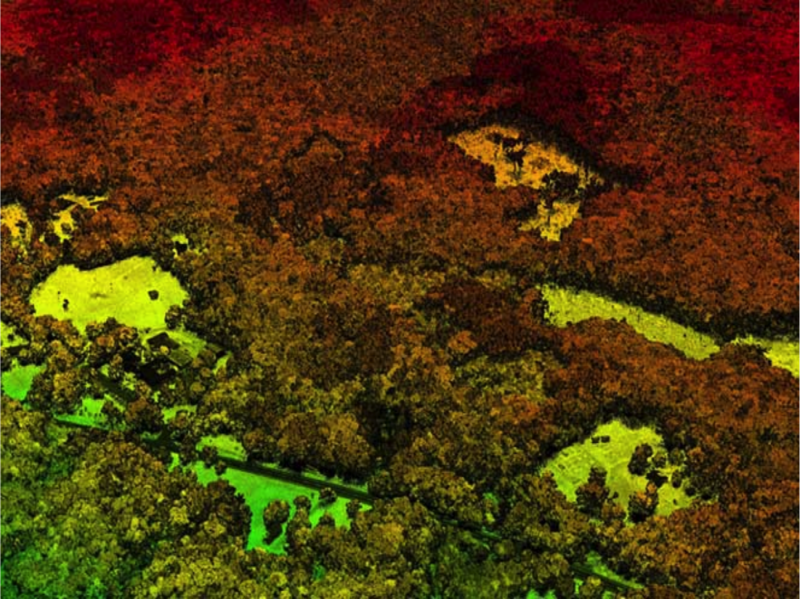 The researchers will use data from NEON's Airborne Observation Platform, like this of Harvard Forest in Massachusetts, to assess the diversity of forests. It’s an issue that’s increasingly relevant as North America loses tree diversity, primarily due to invasive pests and pathogens like chestnut blight, Emerald ash borer and Hemlock wooly adelgid. New Hampshire alone hosts 40 invasive species that could weaken or even eradicate an entire species of tree very quickly. Ollinger credits the breadth of expertise of the UNH team with attracting such a large, complex grant to UNH alone. Not only has Ollinger been studying the role of trees in absorbing carbon for most of his career, he was observatory director at NEON for a year. Braswell will use techniques of ecological simulation modeling he helped pioneer to improve the way models treat biodiversity; Palace brings extensive experience using drones for landscape ecology projects worldwide; and Xiao has expertise using large volumes of data from the AmeriFlux network to understand patterns of carbon and water cycling.